Call SO-CO Water Damage to speak directly with our friendly staff who can have a water damage Rockvale crew on the way to your home or business immediately. No answering machine — you need a friendly experienced person who knows how to handle water damage situations because they have done it many times before, in almost every situation you could imagine. Someone who has the experience to take quick action to get the drying process started to prevent any further damage, and to work closely with you and your insurance company, keeping you both fully informed every step of the way. 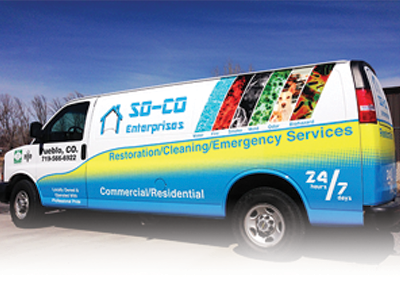 When you need water cleanup, SO-CO Water Damage is ready and equipped to handle any disaster you may have. 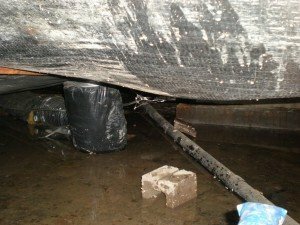 Basement water damage can be particularly difficult to handle because of hidden moisture and conditions that are ripe for speedy mold growth. Any damage that might be associated with Rockvale flood damage could contain dangerous microbes that pose a serious danger to your health. Buildings tend to be like sponges, just because there isn’t any visible water doesn’t mean the building is dry. So it’s important to use a Rockvale water damage company who are experts at delivering all aspects of basement flooding and water damage restoration. Rest assured that we at SO-CO Water Damage have been through these tough situations many times. We have the experience, expertise and equipment to get the situation under control, dry it FAST and get your life back to normal. We are committed to our customers and work with the highest integrity. We are a company guided by our values, where each team member’s sincere desire is to serve. When you’re in need of an emergency water damage company to take care of your water damage repair, give us a call as soon as possible. Rockvale became an incorporated town in 1886. The settlement began with tents and hurriedly built shacks. However, when people became aware of the employment in the coal mine, both single men and families arrived. Duplex type houses built to accommodate the newcomers when the Colorado Fuel & Iron Corporation acquired the property. In February of 1907, electricians began work of wiring the camp with electricity. Fourteen 32-candle power lamps were placed on different corners of the main part of the town. Rockvale was the largest of the Fremont County mines, employing an average of 300 men, producing 1200 tons a day, which required the Santa Fe Railroad to pull two trainloads a day. Rockvale is home to attractions such as the William H. May Memorial Park. We provide services to Rockvale CO including: 81244.